ALPACA yarn is spun from the fleeces of alpacas. They are sheared every spring. Alpaca is soft, lightweight, nonallergenic (contains no lanolin), and warm. It is warm despite being lightweight because the fiber has a hollow core. Baby alpaca is the rarest and finest classification of alpaca fiber; it does not come from baby alpacas. BAMBOO yarn is made from the grass of bamboo plants by distilling the grass into cellulose and spinning it into yarn. Bamboo is a renewable, biodegradable, and non-polluting resource that can be grown without the use of pesticides because of its naturally antibacterial qualities. Its fiber structure has microscopic holes that wick away moisture and enhance breathability. Bamboo is known for having a silky and soft feel. Bamboo has natural antibacterial, deodorant, and non-allergenic qualities that remain in the fabric even after many washes. COTTON is a vegetable fiber. It is nonallergenic and quick-drying. LLAMA is sometimes referred to as the cashmere of the Andes. It is nonallergenic because it does not contain any oils or lanolin. Like alpaca, it is soft and lightweight but very warm. ORGANIC YARN means that the fiber the yarn is made from was produced without the use of chemicals such as herbicides and pesticides. If the fiber comes from an animal (such as wool yarn from sheep) the animal must be fed organic feed and raised pursuant to organic standards. SILK is a natural fiber that comes from the cocoons of silk worms. The yarn has a soft sheen and elegant drape. SOY fibers are spun from a by-product of soybeans that would otherwise be discarded during the food manufacturing process. The soy protein is liquefied and then extruded into long fibers that can be spun into yarn. The yarn has a lustrous quality like silk. Soy contains a natural antibacterial resistance and research has found that, as soy protein is rich in amino acids, it can be beneficial to wear next to the skin as it is said to activate collagen proteins. Soy fibers are a renewable resource. WOOL, spun from the fleece of sheep, is versatile, durable, and elastic. A single wool fiber can be twisted and turned 20,000 times without breaking and can be stretched 30 to 50 percent beyond its original length and rebound without damage. This is why garments made of wool retain their original shape. Air spaces between the elastic crimps in wool fibers create an insulating barrier which shields the body from cold or hot air, regulating the one’s natural temperature. Wool can absorb up to 1/3 its weight before it feels wet to the touch; this allows wool to absorb perspiration and release it gradually, preventing chills under varied weather conditions, and making wool comfortable to wear year-round. Merino wool is the highest, finest grade of wool. 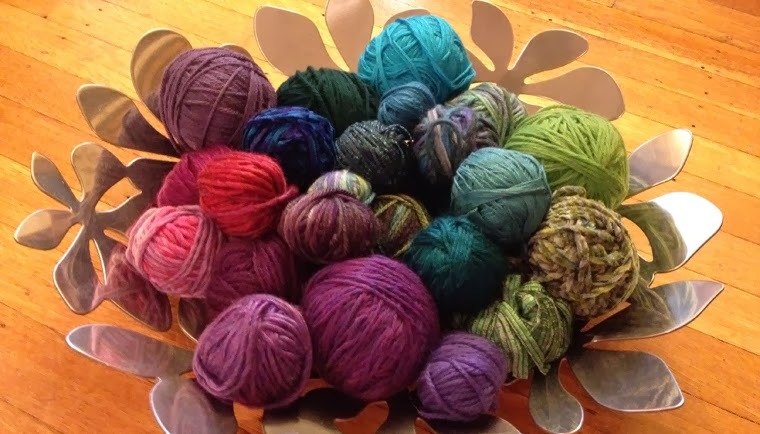 ACRYLIC yarn is spun from synthetic fibers. We carefully source only the highest-quality acrylic yarns.